I have gone through a few gummy concentrates and none have really caught my attention, thus far. Tpa was harsh and not very accurate. Jelly Candy CAP is the most used so far, I have really come to enjoy that one. I still haven’t quite found a happy level with the PUR concentrates. I have yet to try OoO Gummy as I have not heard anyone’s experience with it. I have no idea how to make a vote maybe @JoJo or @Ken_O_Where could help me out, but I want to know what everyone’s most used flavor is for creating a gummy profile. Something that actually tastes like gummies and not just sweetness. A lot of these taste kind of cloudy whereas I am looking for that clear tasting gummy. What is your most used flavor for creating a gummy profile? FW gummy candy is pretty good. I also liked a few Swedish fish flavors that I feel like gave a gummy kind of feel to them. TFA and RF Swedish gummy were both pretty good. Now that there is something i have never done, I apologize for not being helpful. Looks like it is taken care of tho. Blend Watermelon, Raspberry, and a hint of strawberry to get a jelly bean type blend. shhh we won’t tell! I thought the “gummy” flavor included some mouthfeel component …no? Thx @Walt_RealFlavors …you are The Sauce Boss! It’s not specifically a “gummy” flavor, but Flavorah’s candy roll tastes like gummy bears to me. I think candy roll tastes like smarties haha. Just another proof that taste is super subjective! Don’t I remember seeing a flavor profile for a concentrate resembling this? 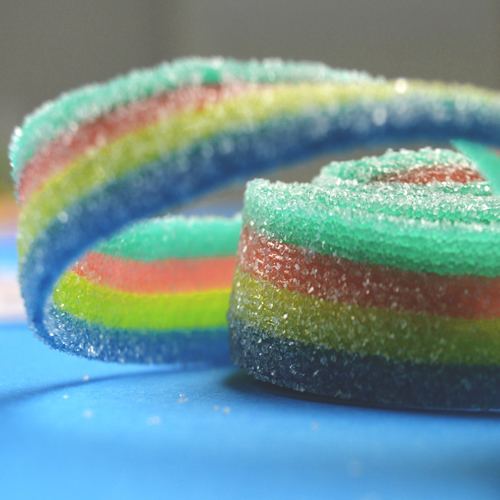 Like a sour candy roll or etc, not the FLV Candy roll that’s supposed to be smarties candy, but a gummy candy roll like fruit by the foot-ish. What I Could find so far. NicVape’s Gummy Candy definitely gives that gummy vibe/feeling but it doesn’t have much actual flavor. Their white gummy tastes like a pineapple gummy bear. I was pretty impressed with it. Purilum’s Gummy Candy tasted like smarties to me at first and then it started to get more of a gummy vibe. In the end, it tasted like the kind of gummy jelly candies you buy at an asian market. @Laura5 you’re right, candy roll also tasted like smarties to me. Kind of a smartie flavored gummy bear. LoL Which seems like an oxymoron cuz gummy bears are gummy and smarties are chalky. First time I’ve seen this thread. Thanks for reviving it, @Heavy_handed! Going to try Walt’s trade secrets and see how it goes.